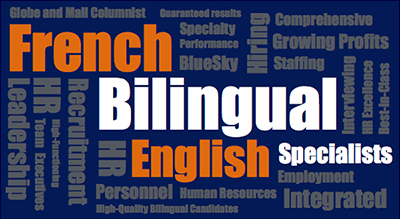 BlueSky Personnel Solutions Zombies and aliens take over an employee manual. With a new year on the horizon, many of us are faced with the dreaded task of trying to make sure employees re-visit and actually read their company’s health, safety and other policy manuals. How can you interest someone in a 20-page manual, in a world dominated by memes and 140 characters? With zombies, aliens, and evil robots of course! This is a true story out of an office supply company in the UK called Viking. 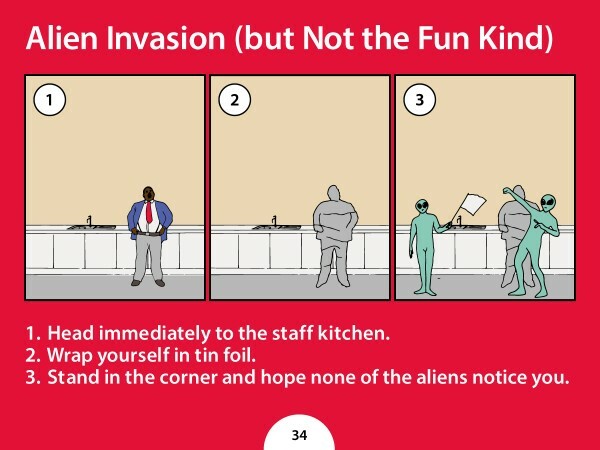 Its employee manual generated so much buzz, it was featured in entrepreneur.com. What should you do if evil robots want to enslave humanity, or if an alien invasion is imminent (not the fun kind, as Viking notes), or alas, if zombies want to eat your brain? Fear not, Viking’s policies have you covered! These outrageous scenarios were equally matched with outrageous advice, but were discretely inserted into page 31 to 36 of the policy manual. What started off as a test to see if employees were actually reading the manual, quickly turned viral across the entire workforce and beyond. To read the behind-the-scenes story from Viking directly, click here. 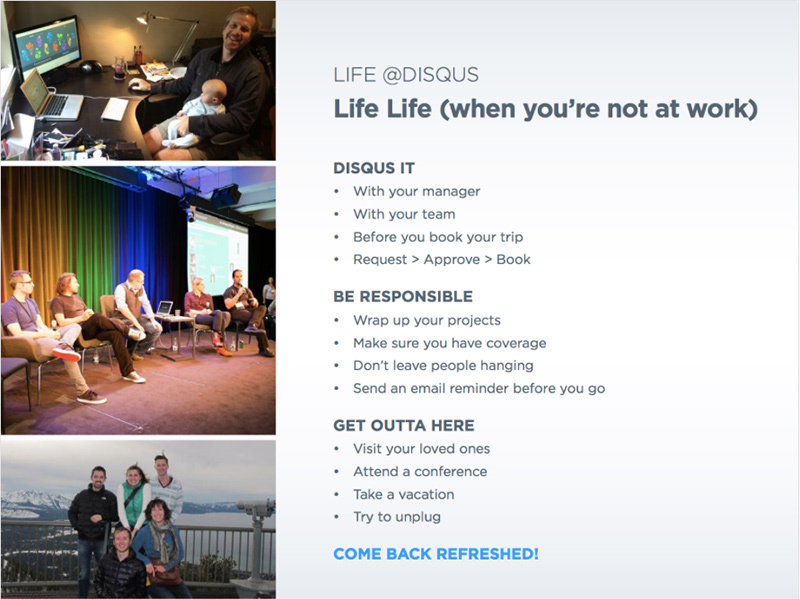 Disqus Culture Book: we love how they outline their vacation policies in clear, fun, bullet form with no yawn-inducing paragraphs. 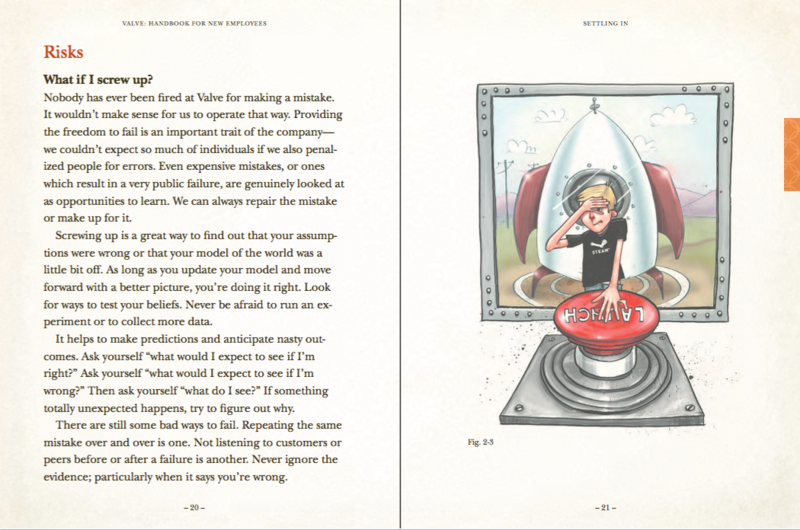 Valve’s handbook for new employees: here’s a great example of a handbook that reads like a storybook, complete with entertaining illustrations and copy such as the Risks section’s headline: “What if I screw up? 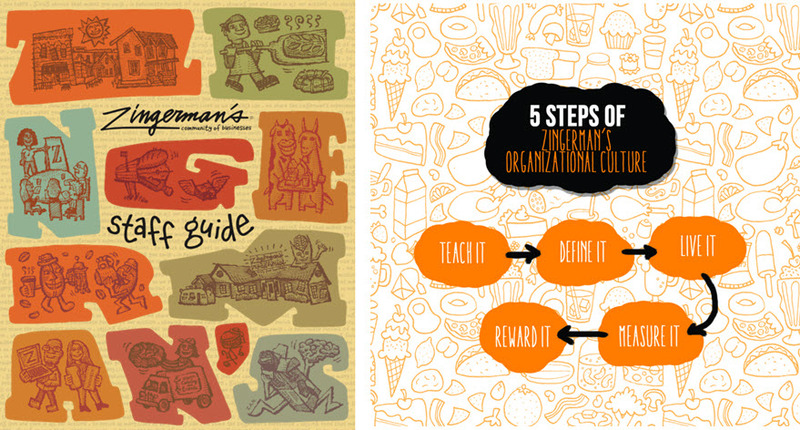 Zingerman’s Staff Guide: more comic book than employee manual, Inc.com touted this as the “World’s Best Employee Manual.” It actually comes complete with cut-out finger puppets of Zingerman’s two founding partners. This guide is in such high demand, that the company now sells it for US$10 in its online bookstore. Have you come across any creative policy communications that are head-turning – with or without zombies? Please do share them with us on your favourite social media platform. We’d love to hear from you!